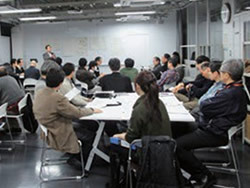 To strengthen the co-creation relationship between the organizations and the organizations with industry, the Center for Social Contribution and Collaboration and the Instrument and Research Technology Center were integrated and reorganized into the Organization for Co-Creation Research and Social Contributions. The organization is organized in three divisions: the External Affairs Division, which is responsible for planning organizational research projects; the Business Creation/Human Resource Development Division, which is responsible for managing and operating joint research and social collaboration projects and human resource development projects; and the Equipment Sharing Division, which is responsible for promoting management and utilization of educational research facilities. With this new organizational structure, we will fulfill the university's role of open innovation, expand the "exchange of knowledge and human resources," and make proposals to ensure attractive organizational results. 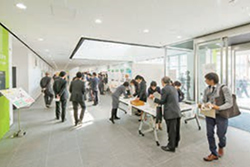 This center provides international students with a wide range of educational activities and programs, such as Japanese language courses and support for the studies and lives of international students. 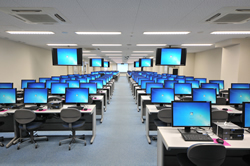 This center operates and manages NITech's computer systems, including the Meikoudai Advanced Information Network System (MAINS). Its objective is to contribute to the advancement of education and research and to NITech’s relationship with the local community by providing information systems and support in education, research, academic repository services as well as in other administrative fields. The Cybersecurity Center was established in March 2017 to grasp information security incidents that occurred at our university, and to quickly and appropriately take measures necessary to prevent, restore and prevent recurrence of damage. The Center consists of two departments: 1) the security management department and 2) the security technology department. We also collect and analyze information on information security incidents, formulate measures to prevent recurrence, and support CISO decision-making on information security. In the event of an emergency or natural disaster, NITech’s Risk Management Center is prepared to act promptly to maintain essential functions of the university; to protect the lives of students, faculty and staff; and to preserve the property and honor of NITech. The Risk Management Center handles emergencies and implements any required crisis management actions during times of normal operations. 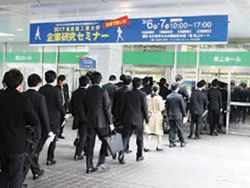 The center consists of two sections: the Disaster Prevention Section, and Legal Risk Section. 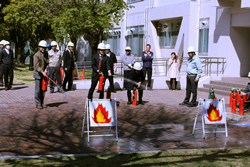 The main functions of the Disaster Prevention Section are (1) to prepare disaster prevention procedures and plan countermeasures; (2) maintain the health and safety of NITech students, faculty, and staff; (3) educate NITech students, faculty, and staff concerning disaster prevention; and (4) take countermeasures and contain damage in the event of an emergency. The main functions of the Legal Risk Section are to (1) establish measures to prevent the occurrence of legal incidents; (2) take countermeasures if a legal incident occurs and prevent its recurrence; and (3) provide media relations during emergencies. The center was established in 2009 based on the "Program to Train Innovative Young Researchers by Industry-Academia-Government Collaboration" financed by the Ministry of Education, Culture, Sports, Science and Technology, with a view to assisting innovative young researcher to make the interdisciplinary and integrated research at the internationally recognized level and to contribute to emerging disciplines. The center now takes charge of evaluating the young researchers based on the "Program to Disseminate Tenure Tracking System" since 2013 and all the newly employed research associates since 2015. The NITech Center for Diversity and Inclusion (CDI) was established in October 2017, replacing the Center for Gender Equality. The CDI's missions are to encourage advancement of female researchers' careers and to create an inclusive environment for researchers with family care responsibilities. 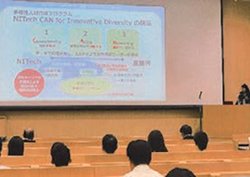 To fulfill these missions, the CDI conducts various activities that help enhance research abilities and support to balance research and family commitments based on the NITech CAN program, which aims to develop and utilize diverse human resources. Furthermore, we commit ourselves to building a system, in cooperation with local industry, to train the next generation by organizing an alumnae network. 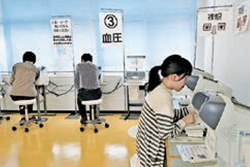 This center deals with the health maintenance of all members of the university. 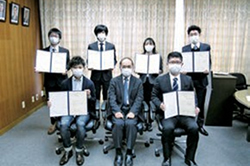 We organize health checkups for all staff and students. Anyone can have a personal consultation with medical doctors, mental counselors, or nurses. First aid is also available.